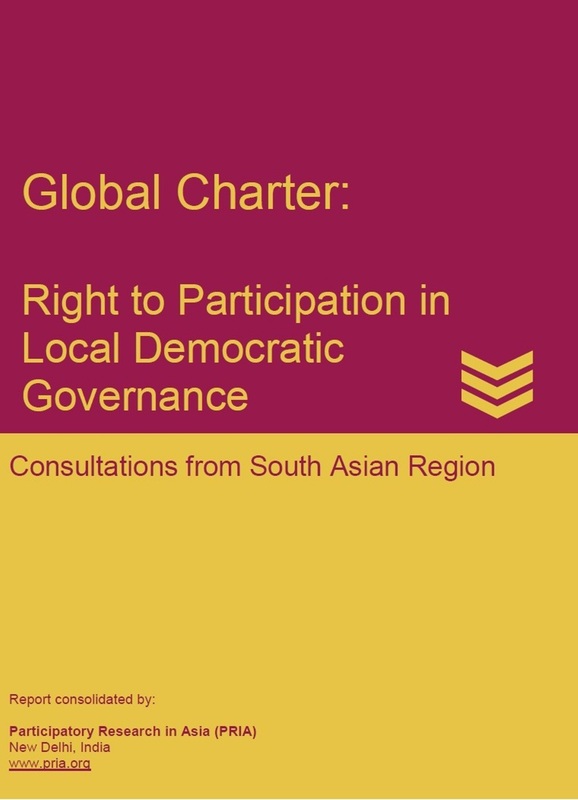 The formulation of a “Global Charter on Right to Participation in Local Democratic Governance” was initiated by the Learning Initiative on Citizen Participation in Local Governance (Logo Link) to deepen citizen participation in local democracy by scaling-up, mainstreaming and institutionalizing citizen participation in all spheres of democratic governance. 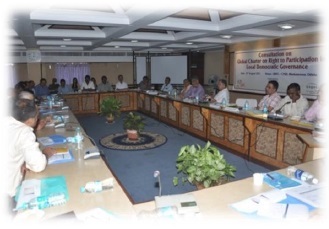 Participatory Research in Asia (PRIA) organized consultations to discuss the draft of the Global Charter in different parts of India, Sri Lanka, and Bangladesh. Although the main aim of democratic decentralization is to promote self-governance and participatory development, experiences of many South Asian countries show that citizens are not able to participate freely in the institutions especially represented by political parties. Citizen’s spirit of democracy has been curtailed by lack of accountability, weak democratic institutions including the rule of law, and blatant corruption. In recent time, the process of devolution is slow, and a rather gradual process of centralization is occurring in a way. Moreover, there is an infringement of civil society’s rights to express their free opinion on public matters with a number of regulations which silence civil society voices. The Global Charter’s objective is to establish the citizen’s right to decide the formation, structure, processes and outcomes of local democratic governance, with particular emphasis on the participation of the poor, marginalized, and excluded people. Facilitating access to quality of information related to decision-making structure and process in local democratic governance institutions. Who is defining “participation”? Moreover there is also a need to understand that participation for ‘what’? And what is the limit of participation? How should participation be made attractive and interesting? If the scale is smaller it is easy to ensure or measure participation, but if the scale is large then how can effective participation be ensured? Even though people are using available platforms/ windows to participate in the policy making process, their suggestions are not included or taken into consideration. Participation of people has been restricted due to categorization based on caste, class and gender. If issues are addressed as a collective issue instead of some category, it will certainly increase people’s participation. People do not trust the institutions of democracy and political parties. How can that be dealt with? Pre-conditions of participation should be in terms of robust indicators to give way to the vision of participation. If someone is participating, we need to identify who will actually endorse the participation. Self-respect and dignity’ should be included under the values and principles of participation. The draft Charter reflects like a ‘gap-filling’ in the government’s perspective on citizen’s participation. Instead, the Global Charter should be drafted from the citizen’s perspective. Mechanisms need to be suggested on how to deal with diverse and complex interests. To move ways forward, suggestions were provided by participants. Citizens assistance centers should be developed so that the activists can guide the citizens and citizens’ leadership can be built. The participants also believed that there should be a ‘Policy on Participation’ and it should be treated as every citizen’s right and the national subscription of the Charter would be through the overarching ‘Policy on Participation’.